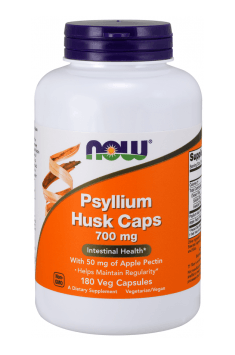 Psyllium Husk Caps 700mg 180 caps. Take 3 capsules 2 to 3 times a day. The supplement should be taken with at least a full glass of liquid. It must not be combined with other supplements or medicines, because fibre can impair their absorption. If you need to take medicines, you should have at least an hour between taking supplement and taking the medicine.